More often then not I get asked what are some of the must-have Mac OS X apps by friends and family members who’s just got their hands on their first Mac. So much so that I had taken the effort to put them up in an article listing exactly that. With the recent release of OS X El Capitan, it’s time for a refresh of my top apps recommendation for the Mac platform again. I’ve previously written a similar article back on my own blog site in 2013 when OS X 11 was released. In this article, I’ve now refine the list to a set of top 5 apps and the rest in a secondary list. This is by no means that apps are not as great but instead are ones that would depend on personal preference if you need such apps or not. Just as an example, as great Affinity Photo is, not everyone needs a powerful alternative to Apple’s own Photo app. Ok. enough of this chit-chat. Let’s jump straight into the top 5 apps that you need to have. Even when I work in a predominantly Mac user workplace, I still need to deal with a lot of NTFS-formatted external storages. More so if you work in an environment that’s largely Windows dominated. And as you would probably already discovered, OS X by default can only read NTFS formatted drives and not write into it. Thankfully, the good folks at Paragon Software provides us with an implementation of NTFS support for OS X. The latest version 14 provides full NTFS features and supports the latest OS X El Capitan. This alone makes it the top of the must-have Mac OS X apps list. Paragon Software has also made the installation process a lot easier on this latest release, making it simpler for non-techies to install it. I’ve been using Paragon Software NTFS for Mac OS X for a long time and it’s really stable! And I would also say that this is a software that’s pretty much mandatory for anyone with a Mac, unless of course you exclusively only work on OS X. Link: Paragon NTFS for Mac OS X 14 $19.95! With all the password hacks going around the web, it is time everyone starts using stronger passwords for all your online accounts. Not just a single strong password being re-used, but a unique strong passwords for each online account you have. And if that is to be, then you would need to use a password manager to help you remember all those passwords, unless of course you are one of those unique individual who can simply just remember everything. I’m surely am not, and therefore swears by the use of 1Password for this specific use! When it comes to password management, 1Password is really in a league of its own. What I like most about 1Password is it’s ability to not just store and manage passwords well, but it’s ability to seamlessly sync the stored passwords across all your iDevices (iPad, iPhones and iPod Touch) via iCloud or Dropbox, as long as you also have the 1Password app on your device. It also stores not just passwords, but also credit card numbers (which is really helpful for all your online shopping needs), software license keys, accounts, and much more! And on the latest version of 1Password, it has a mini interface that is accessible with a quick shortcut key that allows you to quickly search the information you need and immediately copy it into the clipboard and allowing you to paste it where you need it to be. Before, you would only be limited to the browser plugin that helps you automatically login with the stored user id and password, or opening up the full application to gain access to the secured information. You can even create multiple vaults to be shared across different team or family members for those accounts that are meant to be shared, while keeping your own personal logins accessible just to yourself. $49.99 and $17.99 may seem steep for an OS X and iOS app, but this amount worth spending so to allow you to start managing (and strengthening) all your online accounts. Getting your password hacked is far more annoying and potentially a costlier affair too! 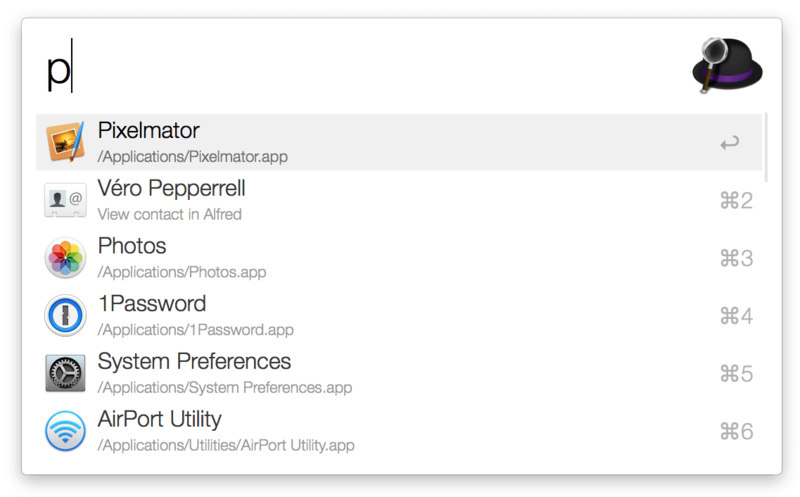 Alfred is one of the few utility apps that I can’t live without now on my Mac. Essentially, it’s a search utility, working pretty much like Spotlight of OS X. However, it does it in a far more elegant way. It also provides you with the quickest way to launch applications. Find out more about what Alfred can do for you here. The basic version of Alfred is available free on the Mac App Store or from their website as well, which makes it a real no brainer to have it installed on your Mac. But I highly recommend using Alfred with its Powerpack which only costs you £15 as the extra features is really worth the cost! One of the greatest features that the Powerpack includes is the ability to create global shortcut keys that allows you to launch not just apps but also to open a commonly used folder, activate an AppleScript, run system commands, and much more. It also provides a quick file system navigator that’s really handy in many situations. In addition to that, the Powerpack also enables the ability for you to create workflows! 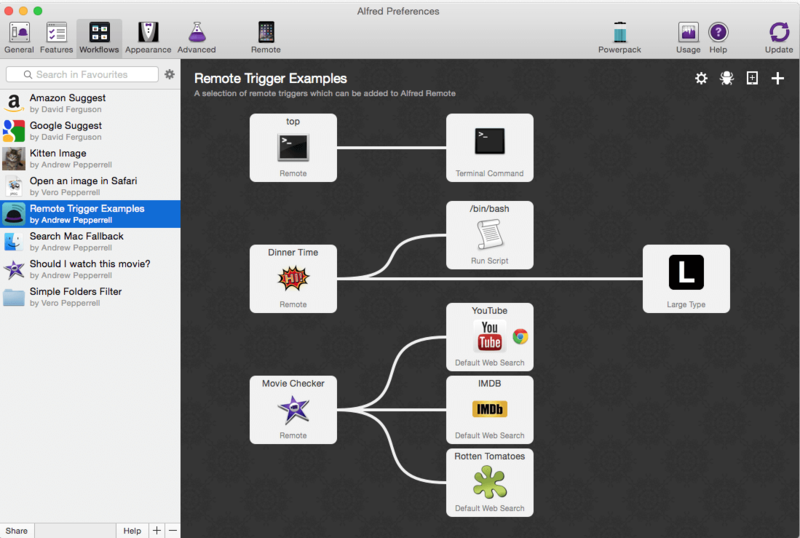 You can find many cool examples of the use of Alfred Workflows here. Personally, I use it as a replacement to bash scripts that executes or starts up servers which I would have to do on the terminal. Personally, I think Airmail is the OS X mail app that should have been. 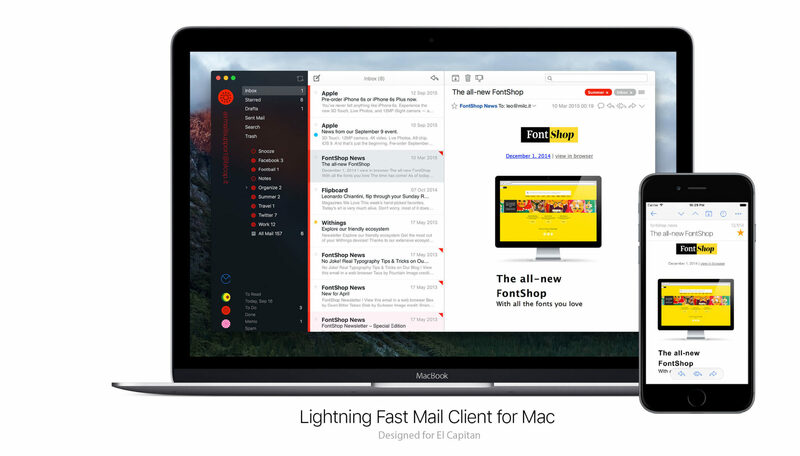 I’ve used Airmail from the very early days of its beta releases and now that the app is officially released on the Mac App Store, I’m highly recommending it to anyone who has looked out for an alternative to the default Mail app, especially if your email is based on Google Mail. Airmail is built from ground up to support Gmail natively. What’s really great about Airmail is its highly responsive interface. It also have a very intuitive user interface which most mail apps have come to adopt since. One thing I like most about Airmail is its awesome support for multiple email accounts, support for a multitude of email services, including support for Exchange, IMAP, POP3, Gmail, Google Apps, iCloud™, Yahoo!, AOL, Outlook.com, Live.com and many other providers with IMAP or POP3 support. Also, Airmail’s iOS app is on the way and when it is released, it would likely be the first mail app that supports the iOS and OS X Handoff feature. Uninstalling applications on the Mac is really easy. Unlike Windows which requires an uninstaller to do the job right, on the Mac, you simple would just delete the application. It’s that simple! However, it still does leave some traces on your Mac, in the form of settings and configuration files. If you plan to reinstall the application later on and would like to have all the settings and configurations intact, then that’s fine. 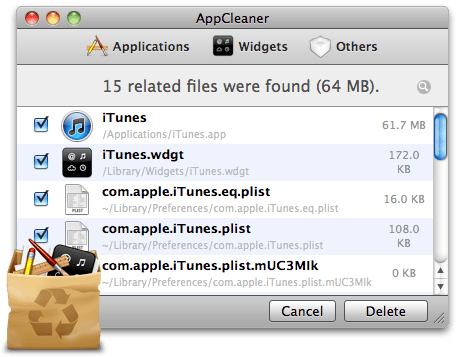 However, if you like to wipe it all clean, then AppCleaner does exactly that for you with just a simple drag and drop. As I’ve mentioned earlier, these 5 apps are must haves and I would recommend them to anyone who’s on the OS X platform. The total amount so far is about US$120 (US$97.92 + £15 which is roughly $23.00). Father. Blogger. Photographer. Ken is native to the world of technology and regularly blogs on atpeaz.com where he would share his thoughts, tips, reviews and pretty much just about everything technology that amuses him. He regularly abuses his iPhone, iPad and rMBP. Devices with APS-sized CMOS sensors seems to be a favourite pastime. His day job involves helping enterprise untangle spaghettis strands and instead, get them to ride on a bus sometimes up in the cloud. Cryptic as it sounds, that's really what he does.